Make the Ice Cream: Heat the cream, milk and vanilla pod and seeds in a medium saucepan until right before it starts to boil. Remove from the heat. In a medium bowl, whisk egg yolks and sugar until combined. Use a ladle to spoon a little of the hot cream mixture into the eggs, whisking the whole time. Continue with more of the cream mixture until it is all incorporated. Return to saucepan over medium heat. Stir with a wooden spoon continuously for 10 minutes, until the sauce thickens to a light custard consistency. Remove from the heat and whisk in the tahini. Leave to cool for 20 minutes; then remove the vanilla pod. Refrigerate custard for at least 6 hours, or overnight. Place the custard in an ice cream machine and churn for about 35 minutes, until semi frozen but still creamy. Remove from the machine and stir through the halvah pieces. Place in a pre-frozen container and freeze. Remove from the freezer 10 minutes before serving to let it soften. 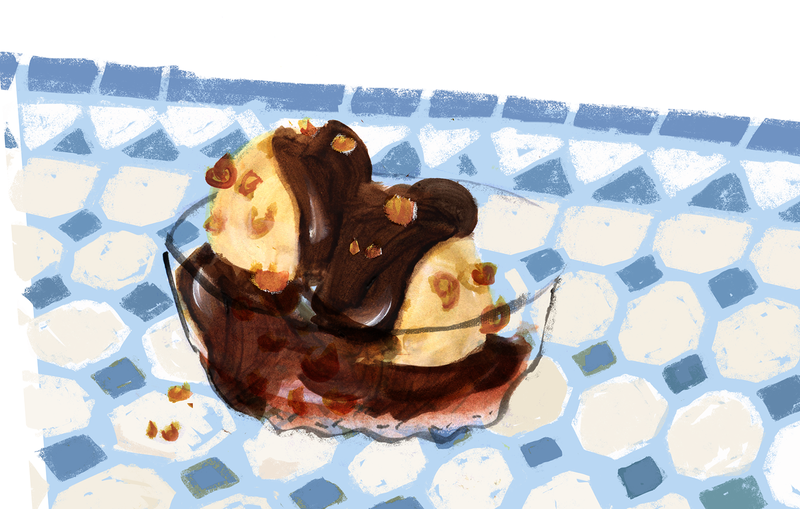 Make the chocolate sauce: Make the sauce just before serving. Place the cream in a small saucepan and bring to a gentle boil. Immediately pour this over the chopped chocolate and stir until soft and chocolate has melted. Stir in the brandy. 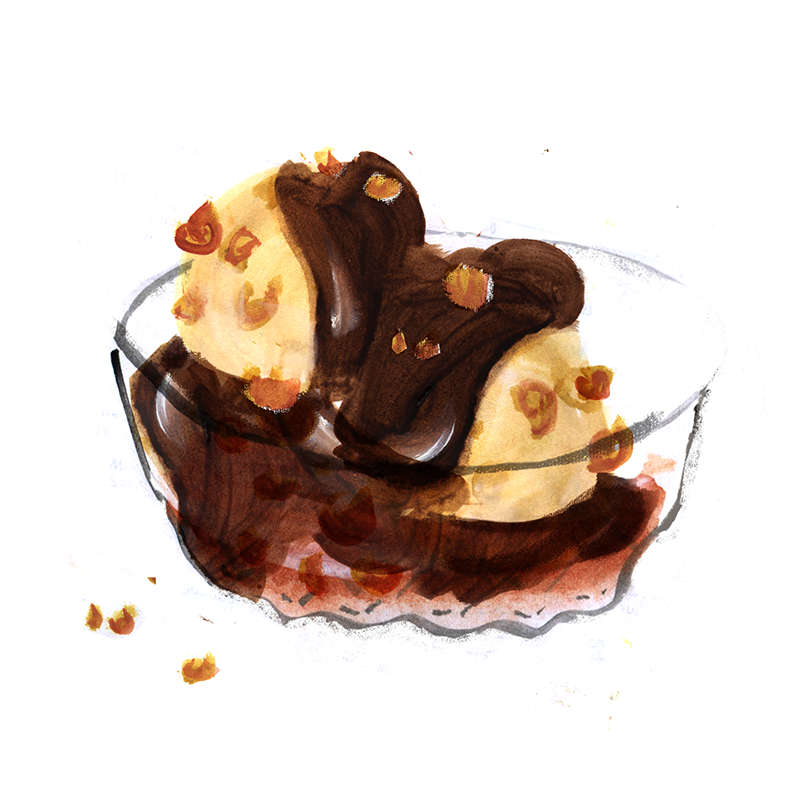 Divide the ice cream into bowls and pour over some warm chocolate sauce. Sprinkle with the peanuts and serve immediately.